Get a jump start on an amazing Mother's Day gift for yourself this year with a quick mini-photo session of you and your beautiful children! All proceeds go directly to HALO. Amanda Darosett, of Amanda Darosett Photography, loves creating a memorable and fun experience for families by taking beautiful photographs. She is also an expert at designing photography artwork for her clients’ homes. Her impressive career in photography includes areas such as family, wedding, and corporate photography. She’s also available for dazzling and fun proposals. In addition to her passion for photography, Amanda enjoys family time with her husband and two enchanting little girls. Amanda's nephew has Asperger's Syndrome, a mild form of autism. Over the years she has watched her family struggle with insurance companies to provide resources for the right medication, and the right therapy for her nephew. Recently due to a change in their medical plan, their insurance decided they would no longer pay for the therapist that her nephew is comfortable with and has made the most progress with. Now her family is forced to pay out of pocket for the resources he needs. Amanda knows that there are many families that deal with the same issues, and this is why she wants to help raise money to help families pay for their child's needs. Your $100 donation gets you a 15-minute mini photo shoot with Amanda along with 2 fully edited 5x7 images and a Facebook Cover. 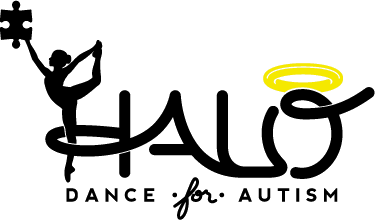 100% of your donation goes to support HALO and the scholarship recipients we support!